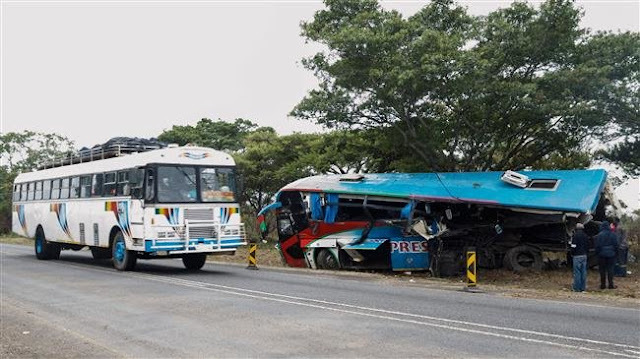 A Bolt Cutter and Smart Express bus collided head-on on the Harare-Mutare Highway, killing 47 people and leaving 70 others injured. At least 47 people are said to have died on the spot after a head-on collision between two buses in Rusape, Zimbabwe. State broadcaster ZBC reported that police had confirmed as many as 47 people had died on the spot. The coach belonged to Bolt Cutter bus company was travelling from Mutare to Harare and collided with a Smart Express Bus Services coach heading in the opposite direction.